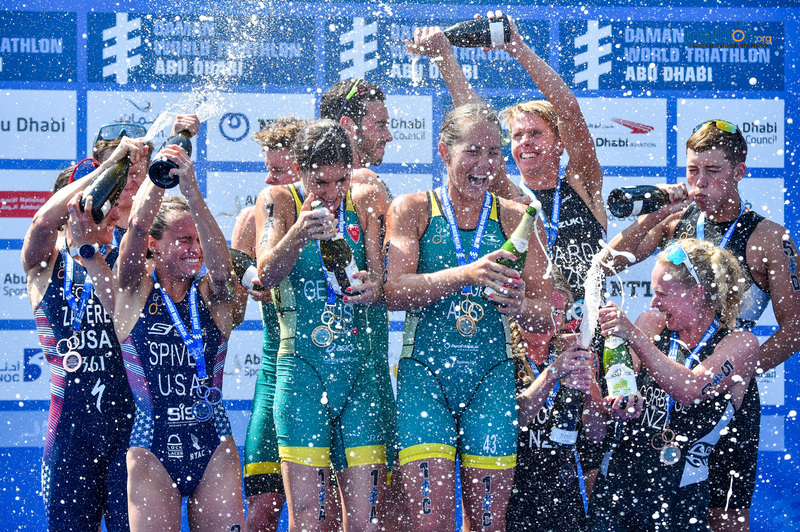 Italian Angelica Olmo and Australian Luke Willian proved strongest and won gold on a stunning day of ITU World Cup racing in New Plymouth today, with the huge crowds treated to a world class display of triathlon, with the Kiwis contributing heavily in both men’s and women’s events. Olmo has threatened to break through at the top level with podium performances in the past, but this was the first victory for the 22-year-old and an announcement to the rest of the world that she is a serious contender as the Tokyo Olympics loom ever larger on the horizon. “I don’t believe it, I really don’t believe it. I was expecting to podium but not for the win,” said an elated Olmo. 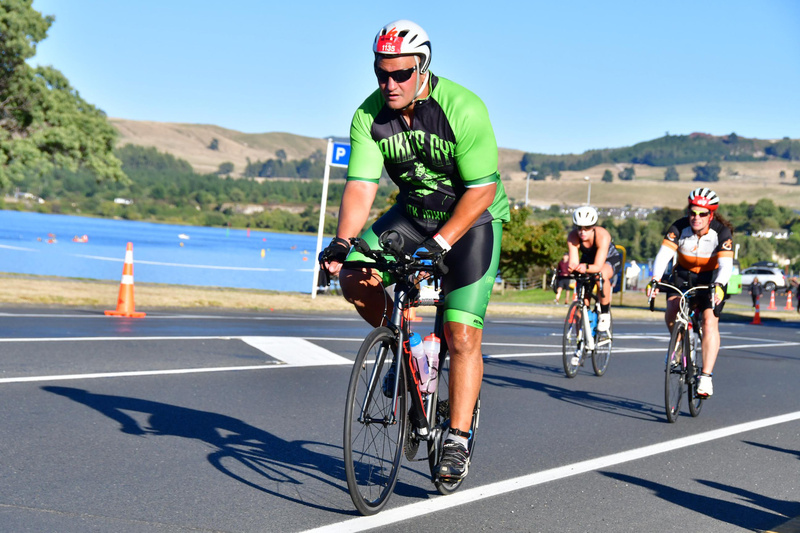 The Italian was engaged in an enthralling battle throughout the race, with a large group battling it out on the testing 20km bike leg that took the competitors up a steep climb on Centennial Drive and Port View Cres on each of the four laps. Once on the run though it came down to six, with Kiwi Nicole van der Kaay prominent until 1km from the finish, when Olmo, Jolanda Annen (SUI) and Jaz Hedgeland (AUS) broke the race open and decided the medals in that order, with Olmo too strong in the final 500m for the determined Swiss athlete, winning by just one second. 23-year-old van der Kaay was pleased to have put herself in a position to medal, but just didn’t have the energy over that final kilometre today, coming home in 7th place. 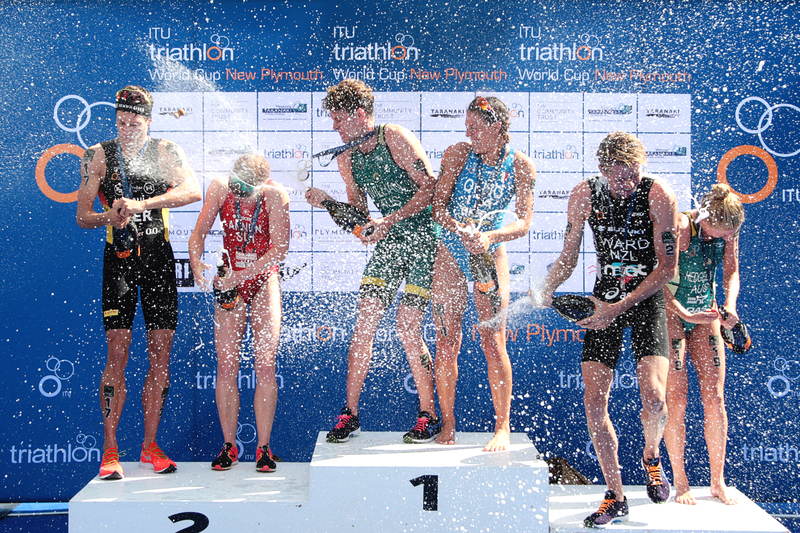 In the men’s race all eyes were on the return of legendary Spanish athlete Javier Gomez Noya, the five-time world champion choosing New Plymouth as his first race on return to ITU racing with a view to racing in Tokyo next year. But it was Australian Luke Willian who emerged from a large pack of riders on the bike to surge early on the run and take a lead he would never look like relinquishing, going on to win by six seconds from a fast finishing Justus Nieschlag (GER), who outsprinted young New Zealand Sam Ward in the battle for silver and bronze. 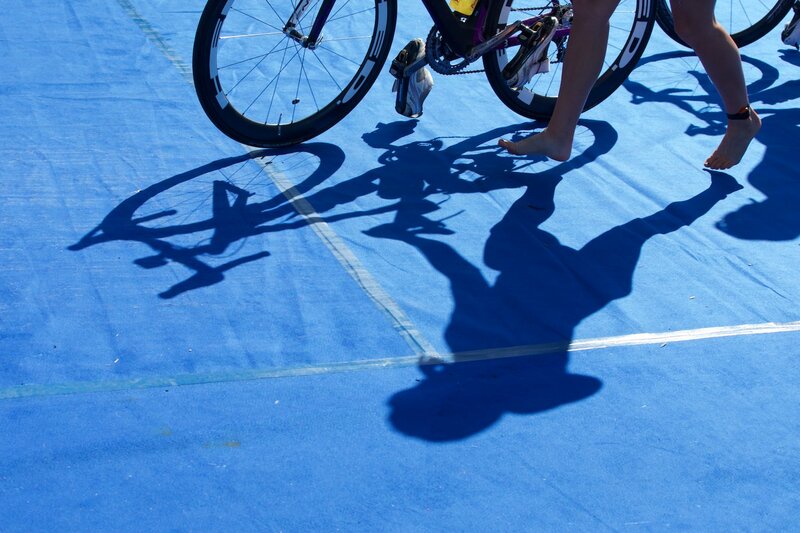 “I had a good swim today, we rode really well and made sure I was at the front into transition. We know it’s a technical course, so it was really important to get out in front. I started out in front and kept going and didn’t look back,” said Willian. 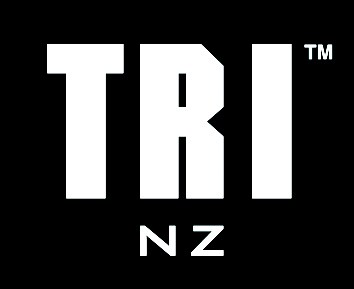 Hayden Wilde (NZL) continued to show he is a fast learner, the newcomer is already making waves on the ITU circuit with his bold front running tactics and for long periods was in second behind Willian, before the tank hit empty in sight of the finish as he faded to fourth in a brave effort. Ward was delighted with his race though, and the thrill of the huge crowd and a testing course to secure a bronze medal to go with his silver from last year. “I am pleased with the race, it was such a strong field out there. I said before the day I would be happy with a bronze but was always hunting for the gold and top step on the podium, but I just didn’t have that edge to beat Luke today, he was really strong. Ryan Sissons was also returning to racing after a six-month absence with a stress fracture and was pleased with a solid hit out and a 9th place finish in a high-octane race. “I am pretty happy with that, it was a solid day. The swim was rough, and I found it a struggle, everyone was all over the place and I couldn’t see where I was going, I was pretty average out there. Gomez Noya showed signs of his class, riding strongly up to the lead group after exiting the swim midway through the field and at one point surged on a climb to take the lead, before understandably fading a little on the final kilometre of the run to finish in 6th place. “It was fun, it was a really good course, especially on the bike. I really enjoyed it. I made a few mistakes. Went too far in T2 and had to turn around and had to out my bike in and lose a few seconds, which made me start a little too hard on the run. I just didn’t have much left on the last lap. It’s okay, it’s quite early for me in the season. It was a good racing experience again and hopefully I get better for the next ones.